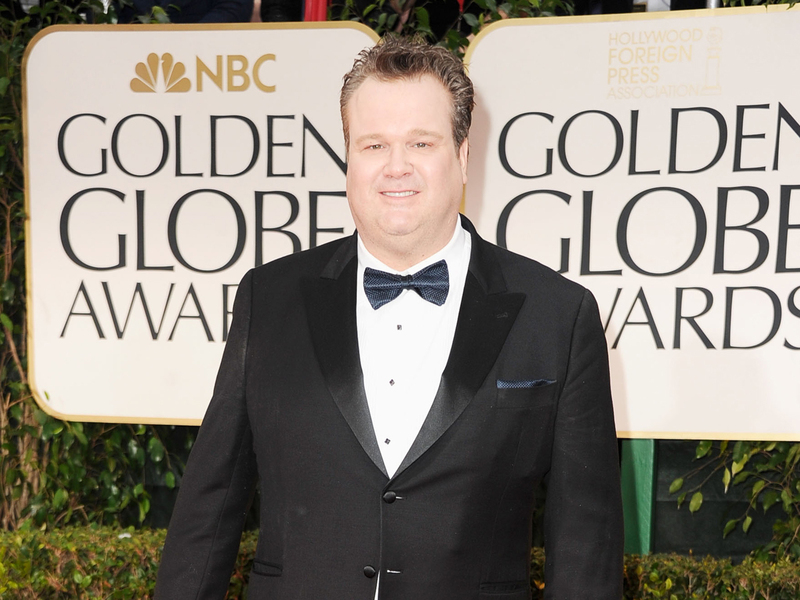 When Eric Stonestreet heads to the Golden Globe Awards on Sunday, don't expect him to have a speech handy, or even ready. The "Modern Family" star, who's nominated for best performance by an actor in a supporting role in a series, mini-series or TV movie, says he doesn't like to over-prepare for these things. "I kind of do a hybrid of having it ready and winging it," Stonestreet told CBSNews.com. "I don't really necessarily write anything down. In the days leading up to the awards and most definitely in the hours leading up to when I have to leave, I really start to think about the things that are important to me -- and if I were to be called up onstage, what I would say. I'm not a big fan of pulling out a big piece of paper that I have a whole bunch of notes written down on. It's a little premature. Having said that, I don't want to go up there and look like a bumbling idiot and have nothing to say." This isn't Stonestreet's first time with a nomination heading into the Globes. He's received two nominations before: one time in 2010 and a second nod in 2011. "It's really cool. This is my third time. Maybe the third time is a charm. Maybe the Hollywood Foreign Press is determined to have me win one of those suckers some time," he joked. But in all honesty, Stonestreet says it's an honor to be nominated, pointing out the diversity of talent in the category. "It's a really weird, strange, odd category because I'm nominated against Mandy Patinkin and Ed Harris, and these actors are doing completely different things on different styles of TV shows and TV movies. Supporting actor on TV is a very eclectic group of actors," he said. Patinkin is nominated for his role on "Homeland," and Harris is up for the HBO TV movie "Game Change." Other nominees include Danny Huston for the Starz drama "Magic City" and "New Girl" actor Max Greenfield. Although he has yet to walk away with a Golden Globe honor, Stonestreet is no stranger to the awards scene. He scored the Primetime Emmy award for outstanding supporting actor in a comedy series in both 2010 and 2012 for his portrayal of Cameron Tucker on the ABC comedy, which has been on the air since 2009. "We're always amazed and constantly surprised by what our writers come up with for us," said Stonestreet. "It's a pretty impressive group of people. It's a great job." When "Modern Family" co-creator Steven Levitan was asked in a New York Times piece which actor is least like his or her character, he said it would have to be Stonestreet -- and Stonestreet agrees. "More than being like my character, what it offers me the chance to do is sort of remind myself how more like that myself -- like more patient," Stonestreet said. "Cam is a pretty patient person, pretty nice, lovable, affable -- pretty much always happy. I get to check into that character every day and remind myself what it is to be that. And if he does win an honor on Sunday, Stonestreet will likely mention his fellow nominees in his acceptance speech. "I feel like actors are representing other actors who would gladly change places with them if they could. So there's a certain amount of respect that goes along with getting up there and winning awards," he said. "You have to find that happy balance." The Golden Globe Awards will be broadcast live on ABC this Sunday starting at 8 p.m. ET.